One of the unexpected bonuses of learning Russian is discovering just how how much comedy exists in that language. I was always raised to think of Russia as a dour, dull place, but underneath that grey exterior exists a beating humorous heart. Russians engaged in fighting Ukrainians have come up with an interesting nickname for their opponents: Укропы or “Ukropi”. This comes from the root ukrop, which refers to the dill plant in English, or marar as it’s known in Romanian. Do Ukrainians eat a lot of dill? Sure, they definitely do. So do Russians, Romanians, Poles, Hungarians and Moldovans. But it’s a joke with double meaning in Russian to call someone from Ukraine a “Ukropi” because both words start with the same three letters (in Russian). Ukrainians, meanwhile, call their Russian opponents ватники or “Vatniki”, which translates roughly to “quilted jackets” in English. The word stems from a root that any Romanian would recognize – vata meaning “cotton”, and thus “vatniki” means “those wearing cotton”, referring to the common winter-weather quilted (cotton) jacket worn by a lot of Russians, known to them as a telogreika. All in all, I certainly hate the fact that there is so much fighting, war and death in the region, but I did have to take a moment and recognize the comedic creativity used by those involved in the conflict. Incidentally, it looks like I was completely right once again. In the post that I wrote more than a year ago, I accurately predicted (in the face of extreme paranoia and suspicion in the Romanian and western media) that Russia has not made any attempt whatsoever to annex or incorporate the territory of Donetsk/Lugansk in eastern Ukraine. What can I say? It’s not hard to be a Cassandra when most of the world’s experts are blithering idiots. I doubt that 90% of the Americans who support pouring weapons into Ukraine could even find it on a map, to say nothing of understanding why calling Ukrainians “Ukropi” is actually pretty funny. Side note: less than an hour after entering Moldova, the “mini bus” I was on made a stop at a small town north of Balti. I was hungry and so I ordered a placinta with cheese. It came with a generous helping of ukrop, and by “generous” I mean “a huge, uncut chunk of it stuffed inside” because the seller was too lazy and/or incompetent to cut it up into smaller pieces. In Moldova, lots of foods come with ukrop, and it’s so ubiquitous that they don’t even mention it ahead of time. Suffice it to say, just about anything with potatoes will come with a dollop of dill. And while Ukrainians certainly find it offensive to be called “Dill Heads”, I have to ashamedly admit that I come from a country where people voluntarily dress like this to show the world how much they love cheese. 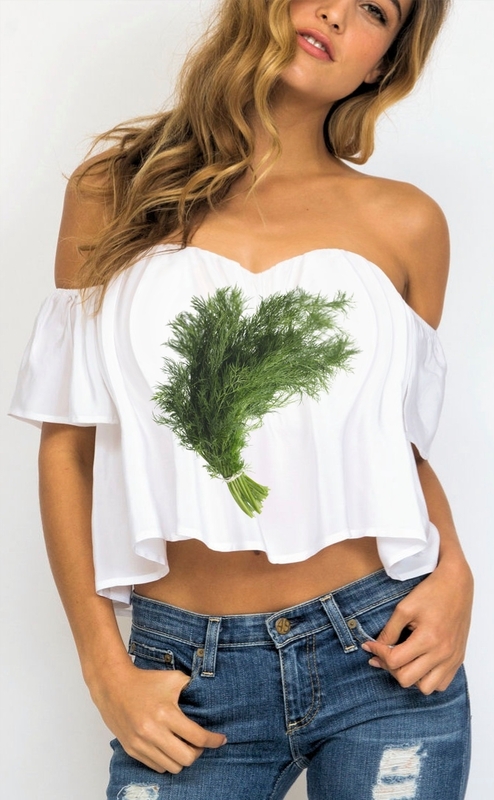 Maybe Ukrainians could take up being called a “dill head” as a reverse badge of pride? Wear it proudly on their heads or stamp it on some T-shirts? That’s certainly what I’d do.